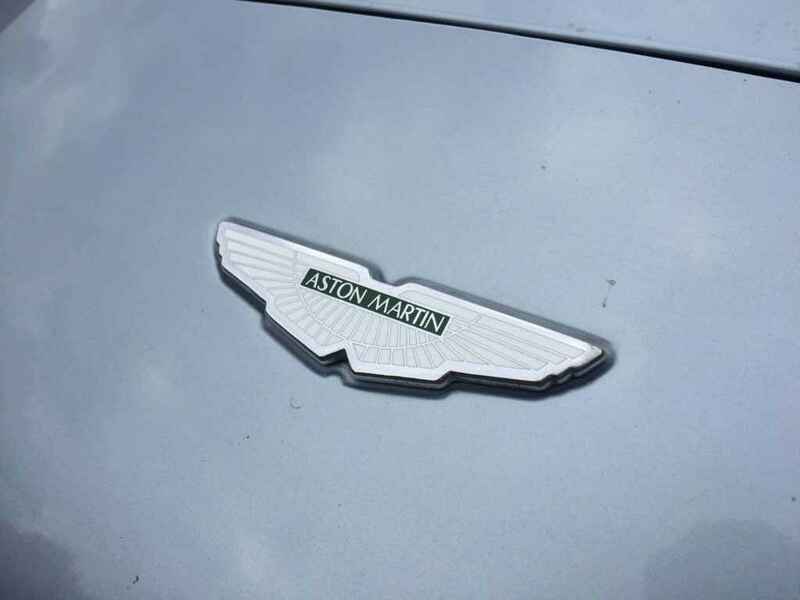 Aston Martin classic car offered for sale by Redline Engineering UK. 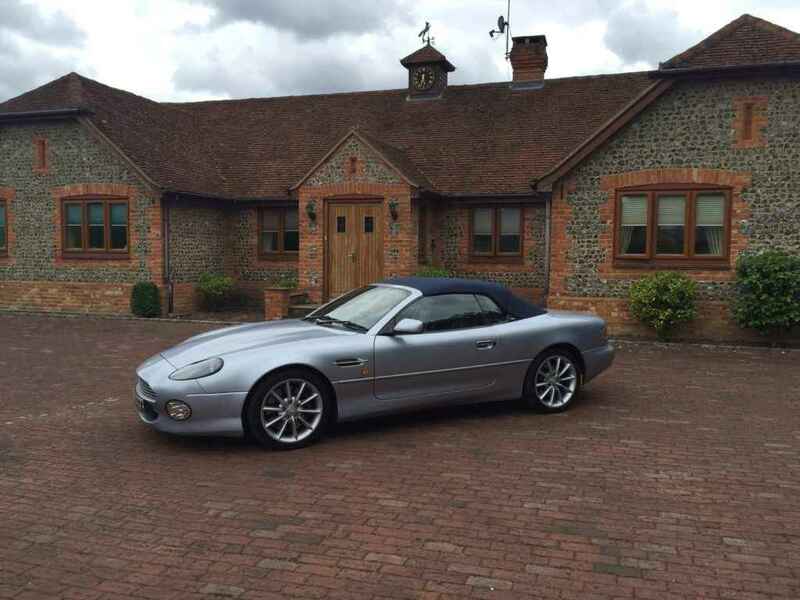 Redline Engineering UK Ltd is delighted to offer for sale this lovely Aston Martin DB7 Vantage Volante. 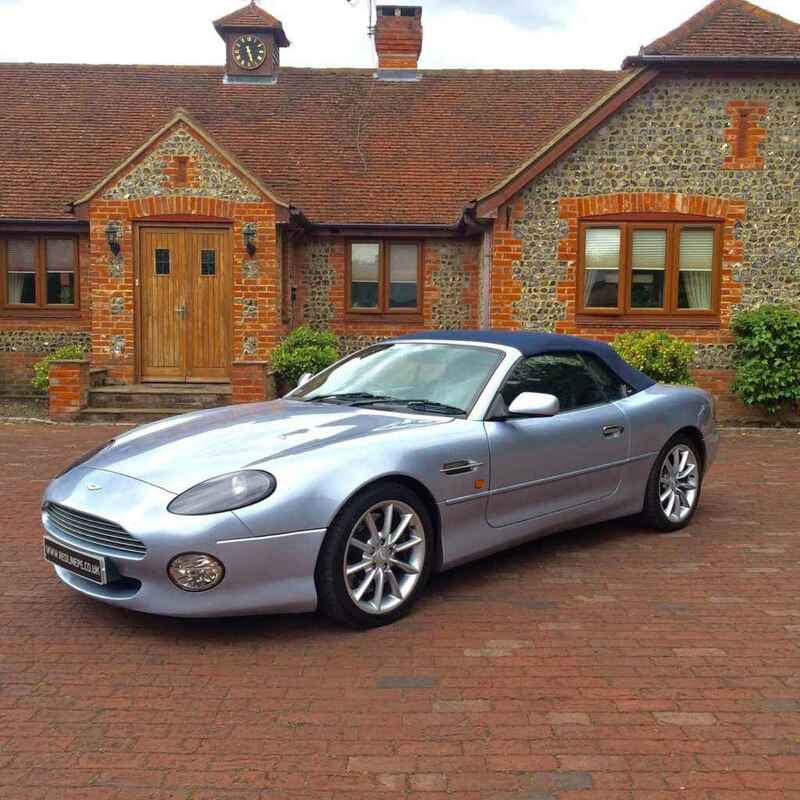 Finished in Solent Silver Metallic with Pacific Blue leather interior with matching carpets. 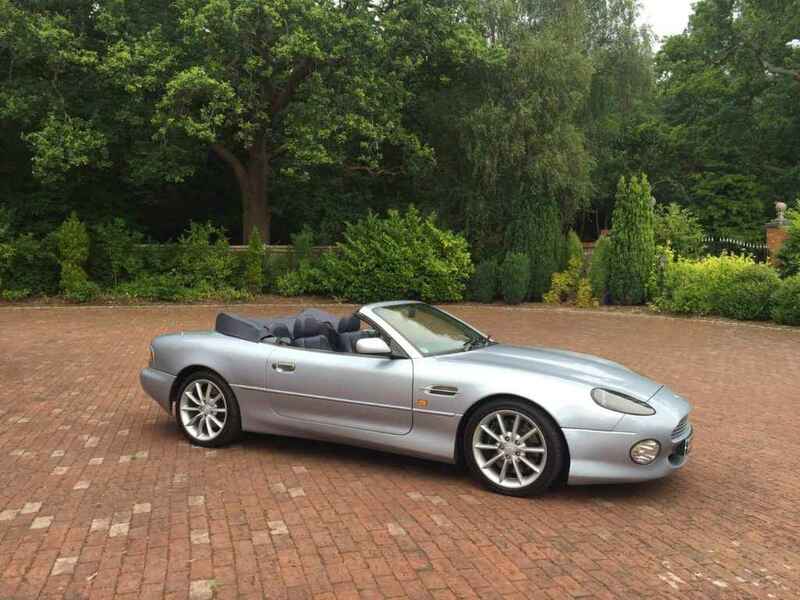 5.9 ltr V12 engine mated to 6 speed manual gearbox which is extremely rare and very desirable. 3 former owners. 31’900 miles from new. Dark Blue electric folding hood with matching colour tonneau cover. 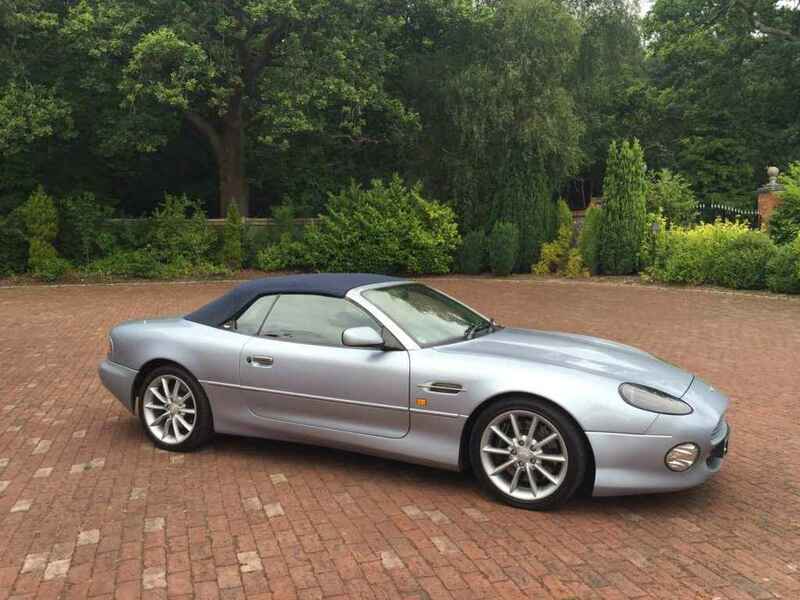 Electric seats, heated seats, front & rear heated screen, push button start, wood veneers, CD radio, Aston Martin Factory fit battery charger, wheels in unmarked condition mounted on Bridgestone Potenza S-02 Tyres, tool kit & spare in new condition. MOT till May 2017. 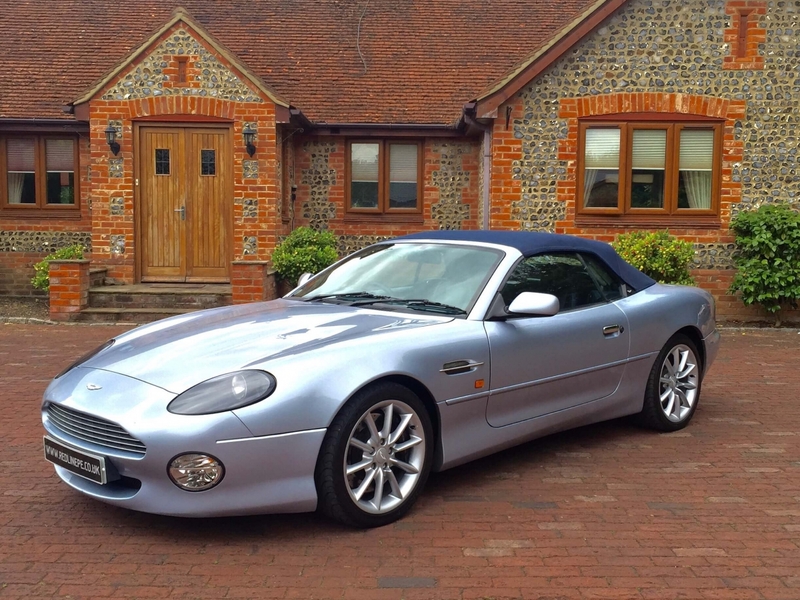 The 5.9 ltr V12 Engine is silky smooth with prolific performance, this particular DB7 Vantage Volante is fitted with ultra desirable 6 speed manual, effortless gear changes through all 6 gears makes this Aston Martin extremely pleasant to drive. 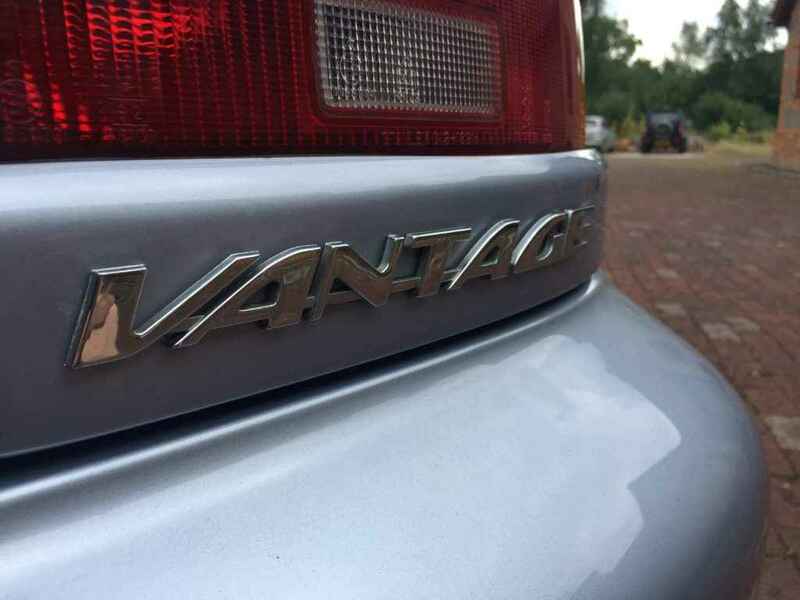 Without question this car is presented in excellent condition, interior leather and carpets showing very little signs of where, equally the exterior paintwork has been cared and looked after very well. The car comes with a full Aston Martin service history file. 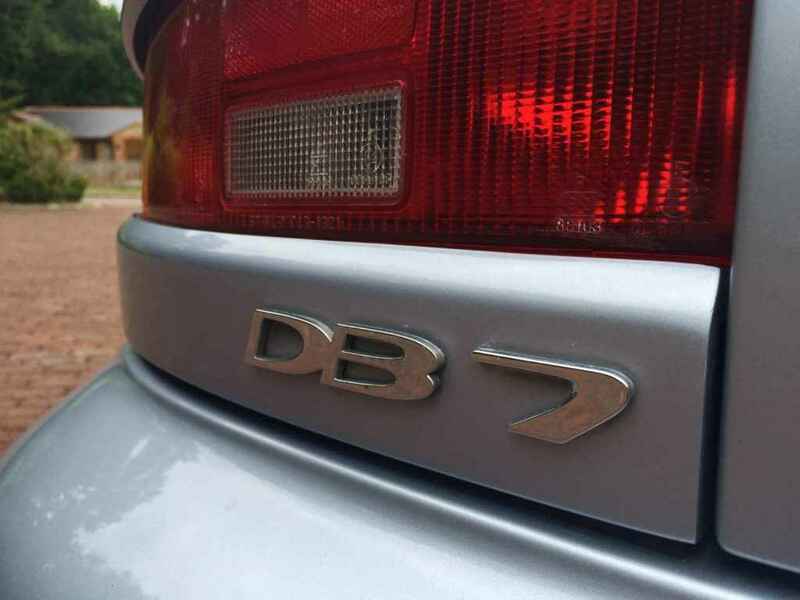 History file also consists of owner’s manual guide / various invoices and bills all from appointed Aston Martin dealers for minor repairs, a well looked after DB7. 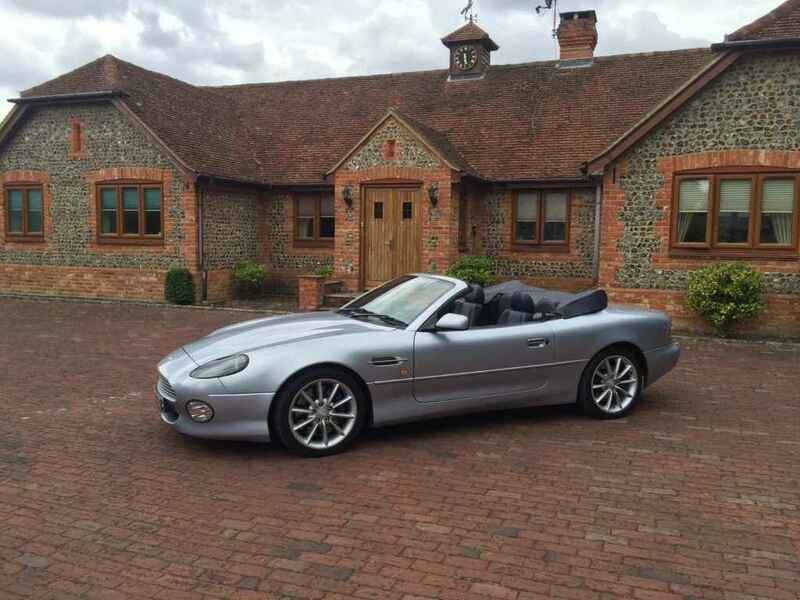 With prices slowly starting to increase this is a great opportunity to add a low mileage and well- specified example to any collection or just a good future investment.